Join us as we assemble library starter kits to benefit local children affiiated with NY Common Pantry (directly following H4K Storytime). All supplies will be provided. Mix and mingle as we give back to our community -- Let's give back to our community together! Stories, Music, Arts & Crafts, and Snacks! bet. Frederick Douglass Blvd & Manhattan Ave. Text an amount, i.e. "5" OR the word “Kids” to H4K’s Text-To-Give Number: (646) 846-7770. This event is sponsored by Citizens Committee of New York City. Harlem Speedsitting Event! Need a babysitter? Please join Harlem4Kids, UrbanSitter and TEEMCoWorking for our first Harlem SpeedSitting event! Are you in need of an occasional or regular babysitter? Would you like to meet several sitters all at once? Woudn't it be nice to learn more about how to find a qualified, vetted babysitter - even at the last minute when you're in a pinch? This may be the event you've been waiting for! Meet local sitters and connect with other parents. Light refreshments will be served. Space is limited! Register Now! Please join us for a 3rd year in taking part in a fun event, the July 4th Harlem Children's Parade, at Morningside Drive and 115th Street (upper level of Morningside Park). There will be a free yoga demo for kids by Land Yoga at 10:00 am. The parade line-up starts at 10:45 am. Following the parade there will be fire truck and ambulance rides, along with fire hose spray. We hope to see you on July 4th! Thanks to the New York City Fire Department, along with sponsors Vince Morgan and Shola Lynch, HarlemNow, Harlem Park to Park, Land Yoga, and Harlem4Kids. Visit HarlemParade.com for additional details and to see photos from last year's parade! Please join us for the first installment of H4K Storytime’s “Meet the Author” series featuring Harlem resident and H4K mom, Gaily Told-Tales. She will be reading from her new children’s book, “Paloma the Possible”. Following the reading, families will be welcomed to take part in an “All One Family” community collage activity. Please bring a family photo if you'd like to participate in this fun and meaningful activity. 441 Manhattan Ave., 2nd fl. Black Inventors – A Celebration of African American History-- music, movement, games, fun and more! This is an Interactive Storytime and Music Program that is designed especially for preschoolers and led by musician/educator/performer MR. CHRIS! We will open the program with drumming by protege Salim Ptah. Strollers will be parked in the game room downstairs. The show will be upstairs on the 2nd floor. It's time to celebrate, it's time to share, it's time to spread some holiday cheer! Join us to celebrate with holiday-themed music, stories, and treats. Please bring in a new or “like-new” book for the Harlem children's book drive sponsored by TEN (Total Equity Now). Or bring in two "like-new" books...one to swap & one to donate! It's the most wonderful time of the year! 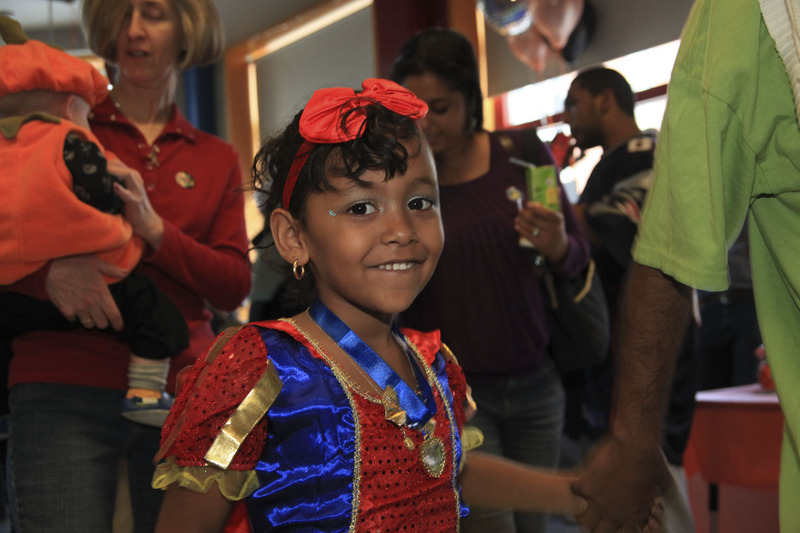 9th Annual H4K Halloween Family Disco with Mocha Moms of Manhattan. For the first time ever, this event is an H4K fundraiser as well. Arrive in costume and enjoy activities for children of all ages, as well as face painting, a DJ spinning the hits, and more! take place immediately following the disco at 1:00 pm. See you on the dance floor! This event has sold out for three years in a row due to limited capacity. Please purchase your tickets TODAY and spread the word! Tickets can be purchased online or at our weekly Storytime Saturdays program (see below). Parade is FREE to attend! We are happy to welcome you back for our 9th season of H4K Storytime! To kick off this season, we will hold a special BOOK SWAP AND DONATION DRIVE for TOTAL EQUITY NOW. PLEASE BRING: TWO books -- donate one and swap another! Donated books will go to Total Equity Now’s “Literacy Across Harlem”, which brings LIKE NEW donated books to families in need in our community. We hope to see you there! Please join us for a 2nd year in taking part in a fun event, the July 4th Harlem Children's Parade, at Morningside Drive and 115th Street (upper level of Morningside Park). There will be a free yoga demo for kids by Land Yoga at 10:00 am. The parade line-up starts at 10:45 am. Following the parade there will be fire truck and ambulance rides, along with fire hose spray. We hope to see you on July 4th! Visit HarlemParade.com for additional details. JOIN US FOR JAZZ & LUNCH! Experience America’s music, jazz. Led by Harlem’s own Patience Higgins on saxophone, this jazz quartet will both educate and get your little ones on their feet. This is a great opportunity to come together as a community of families and celebrate with our children. Full menu available, as well as additional kid-friendly items. Kids of all ages are welcome! ALL TICKETS MUST BE PURCHASED IN ADVANCE. Tickets can be purchased online or at any Storytime session. Please Note: There will be no Storytime on February 22nd. It’s time to celebrate, it’s time to share, it’s time to spread some holiday cheer! Please join us in celebrating with Holiday-themed music, stories, treats, and plenty of photo ops by Harlem4Kids’ photographer, Cristobel. Images will be available for purchase! Please bring a new or “like-new” book for the Harlem children's book drive, sponsored by TEN (Total Equity Now). 8th Annual Halloween Family Disco & Costume Parade! Hosted by Harlem4Kids & Moca Moms of Manhattan. Face painting by the masters of You-Nique Face Art, awesome glitter tattoos, activities, games, dancing, great raffles, prizes and more! And let's not forget our big inflatable slides. We'll have dual lanes this year! But most importantly, come join Harlem4Kids for this great opportunity to come together as a community of families and celebrate with our children. Kids of all ages are welcome! All tickets must be purchased in advance. Tickets are currently available at our Saturday Storytime program. Tickets can also be purchased online. Please Note: There will be no storytime on October 26th due to the Halloween event. [Click here] to Purchase Tickets Online (75-cent convenience fee ). TICKETS ARE NO LONGER AVAILABLE FOR THIS EVENT. THANK YOU FOR YOUR SUPPORT! We hope you've all had a fantastic summer!! As the fall season approaches, we're inviting you to join us as we kick off our 8th season of Story time! This year's event will feature, “Chloe goes to the Amusement Park”, an interactive e-book reading, live for the first time by Harlem's very own Lara Land of Land Yoga and now Chloe the Yogi! We will also have a special musical performance by the delightfully talented band, Dahka. Snacks will be served! We kindly ask that you bring a new or gently used children’s book. They will be donated via TEN Equity to Harlem-based homeless shelters, foster care agencies, adult and family literacy programs, and transitional living facilities for formerly incarcerated women with small children and victims of domestic violence. *Please note: This is a combined storytime, so there will be no 10:00 am session. Come celebrate with us! Join us in celebrating Black History Month with performances by Janice Lowe, Composer-Poet-Lyricist extraordinaire, and master percussionist Abba. This year's program will feature African drumming, interactive musical storytelling, multi-cultural play songs, and of course, lots of movement! Snacks will be served. See you there! *Please note: This is a combined storytime, so there will be no 10:00 am session. Book Donations: Please bring a new or gently used children's book. All books will be donated to Housing Bridge, a local shelter for families. Come celebrate the holiday season with Harlem4Kids! 'Tis the season for celebrating and sharing! Join us for a very special storytime with Land of Yoga. Also, please bring a book to donate to the "Literacy Across Harlem" book drive. See you there! Hosted by Harlem4Kids & Moca Moms of Manhattan. This year's festivities will include family-friendly dance music, courtesy of 88-Keys (not "DJ 88-Keys" just 88-keys), a liquid light show by Liquid Light Lab, a dance contest, costume show, arts & crafts, and a pumpkin patch for the little ones! SOLD OUT: Tickets for the Halloween Disco are no longer available for purchase. However, the parade is still open to all! Welcome Back! Storytime is back this Saturday!!! This year's event will include storytime and live jazz with the Curtis Taylor duo. We'll also have snacks and lots of fun! This is sure to be a treat for kids of all ages! Please come out and join us! As an end of the season event, H4K is hosting a Family Disco. Snacks, Dancing, Live DJ, Fun, Prizes! We hope to see you there! Join the Harlem4Kids team at the Revlon Run/Walk for Cancer as we honor our co-founder, Christine Kang-Hui, or make a donation at http://do.eifoundation.org/goto/harlem4kidschristine. Storytime will be cancelled on May 5th in honor of this event. Thank you to all that participated! Our team raised $1,715 in honor of our co-founder, Christine Kang-Hui. Free trial class at the Uptown Dance Academy for all attendees! It's the most wonderful time of the year! Come celebrate with us as we sing along to some familiar (non-holiday specific) favorites, and learn about other holidays people celebrate at this time of year! Children of all ages are welcome! We will have a raffle drawing, so be sure to purchase your raffle tickets! Snack treats or beverage donations will be greatly appreciated! No peanuts please. Hosted by Harlem4Kids & Moca Moms. This fun-filled event will feature cupcake decorating, arts & crafts, refreshments, trick-o-treat tables, face painting, costume show, dance contest, play area for infants & toddlers, and of course, a live DJ spinning toddler-friendly dance music! All attendees are invited to arrive 15 minutes early (1:45 pm) to walk in the Costume Parade. The parade route will cover two blocks and will circle back to the event location! Snack treats or beverage donations will be greatly appreciated! No peanuts please. Spring has sprung, and Harlem4Kids wants to celebrate! Please come out and celebrate the change of season with us! This event will include music, arts & crafts, face painting, cupcake decorating, snacks, a raffle, and our very own DJ Amina, an H4K mom, will be spinning some kid friendly jams to rock the party! Snacks, treats or beverage donations will be greatly appreciated! No peanuts please. Welcome Back! Storytime is back this Saturday!!! We are kicking off this year with an exciting celebration in recognition of Harlem4Kids' seventh annual year in operation! This year's event will be a combined storytime led by Jesse Jams, featuring live jazz by Tucker & Larsen, and a special guest storyteller. We'll also have snacks and lots of fun! This is sure to be a treat for kids of all ages! Please come out and join us! We need your help! As those of you who attend storytime regularly probably know, our beloved storytime mats have served us well over the years, enduring lots of crawling, dancing, jumping, dragging, and curious little fingers. Several mats are in desperate need of retirement (i.e., replacement), and we need your help! Whatever you can afford to give will help a mat that has seen better days finally get the much needed rest it deserves and help bring in a new mat -- ready to take on all things baby and toddler! All sponsorship money will go directly to replacing the mats, which retail for about $100 each! However, whatever you can afford to give will make a difference! Donations (checks or cash) can be dropped off at any storytime session. If you prefer to mail in a donation, just send us an email at info@harlem4kids.com to request the mailing address. 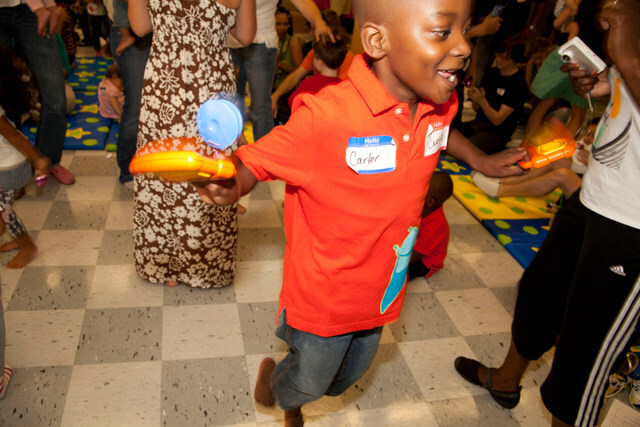 Harlem4Kids invites you to join the jam as we celebrate with Drumming, Music and Dance! It's that time of year again! Please join us to celebrate with music, stories, snacks, art, and plenty of photo ops. Raffle prize winners will be announced! Snack treats or beverage donations will be greatly appreciated! No peanuts please. We will begin our special holiday raffle, starting Saturday, December 4th through Saturday, December 18th. We will be selling raffle tickets for our 50/50 fundraiser raffle. This is a cash prize where 50% of the proceeds go toward supporting the activities of Harlem4Kids and 50% goes to the winner! Who couldn't use a little extra cash for the holidays? It's up to you, parents! The more tickets you buy, the more you can win! We will also be raffling a $75 gift certificate from Sweep Dreams Cleaning Services. It's time for one lucky parent to treat her/himself to a little help around the house! Drawing for the raffle prizes will take place at our special combined Holiday Storytime on December 18th. All raffle tickets are $1.00 each. Do you know what goes bump in the night? We all know those things that go bump in the night are nothing to fear. But, what about those things that go bump in the daytime? Why, that's just H4K and our Annual Halloween Family Disco! 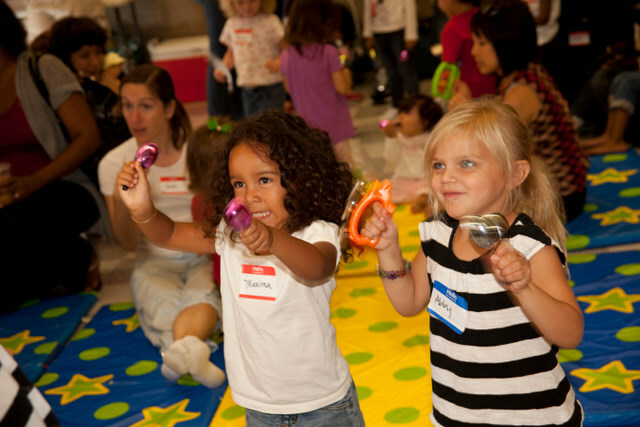 Teach your little ones to do the bump, the twist, or even teach them how to Dougie! Costumes are the appropriate attire, and everyone is invited to join the costume parade to kick off the event! Snack treats or beverage donations will be greatly appreciated! No peanuts please.